3 vacuum packed 250g freshly milled linseed (flax-seed) meal sent direct from the farm! 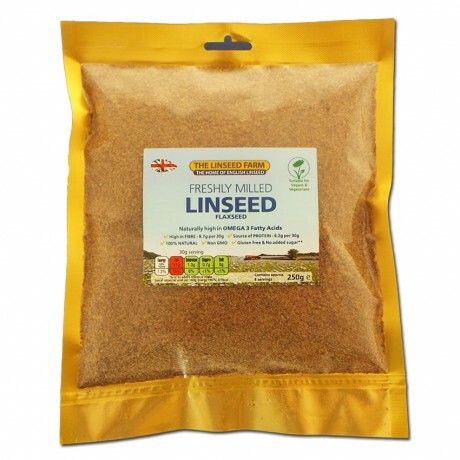 The Linseed Farm mill their linseed (flaxseed) to order and then vacuum pack them, to ensure the meal gets to you Farm Fresh. 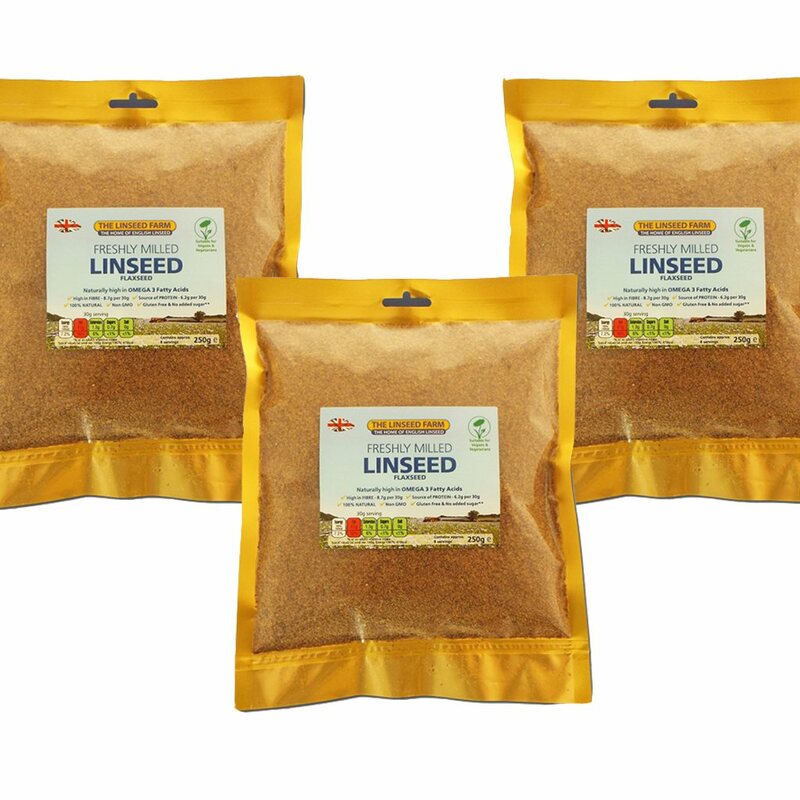 Quality fresh linseed meal that has NOT been sitting in Store rooms or on Shop shelves. 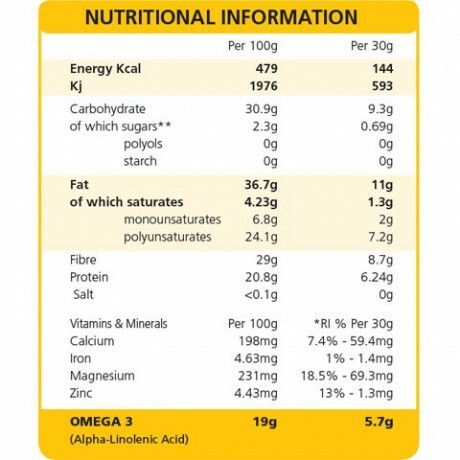 The meal (milled linseed or flaxseed) is a source of High Fibre (both soluble and insoluble), gluten free and low GI, Contains Iron, Zinc, and Magnesium. It is naturally rich in Omega 3. Sprinkle meal on your breakfast, put it in soups, smoothies or as desired. You can also use it in baking and cooking. The name for the bronze linseed/flaxseed is Marmalade and the Golden linseed flaxseed is called Brighton. Wonderful product and superb fast friendly service. I have been using Linseed oil pods for a few years now, excellent produce! just ordered the culinary oil and milled linseed! Great English Farm produce! This product is dispatched by The Linseed Farm. This item has a shipping weight of 850g.